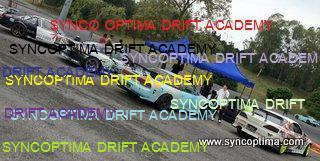 In conjunction with the UITM Automech 2009, Feinto D and Sync Optima were commissioned by the Mechanical Engineering faculty to organise and manage their drift session held at the Padang Kawad in their Shah Alam campus ground. With over 60 drifters participating, the drift action was non stop till the end of the day!! Here are some of the photos.. This entry was posted in Drifting, Sync Optima Events and tagged drift, malaysia drift, malaysia drifting, UITM automech drift, uitm drift, uitm shah alam on March 25, 2009 by skagee. This entry was posted in Drifting, Sync Optima Events and tagged drift, Drifting, malaysia drifting, UITM automech drift, uitm drift on February 23, 2009 by skagee.